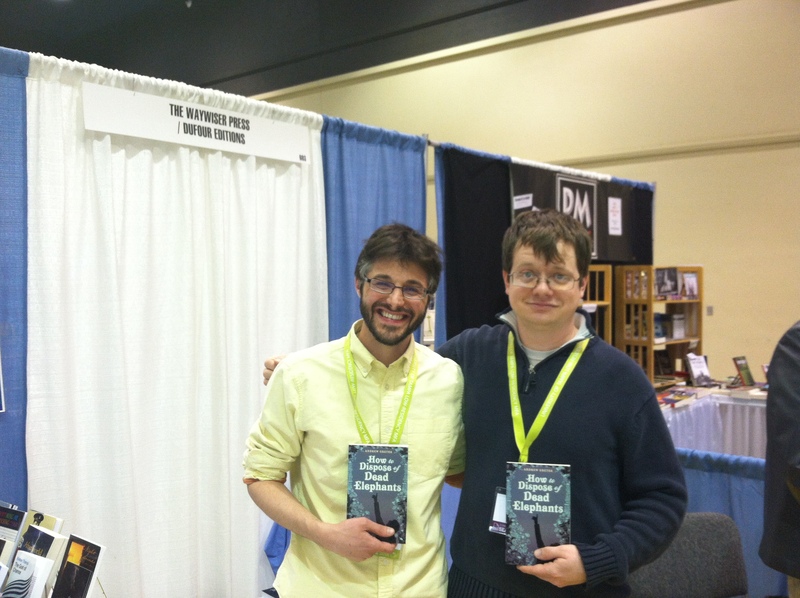 Had a wonderful time at the AWP Conference last weekend in Seattle. Thanks to everyone for their great advice and willingness to share the secrets of the trade! 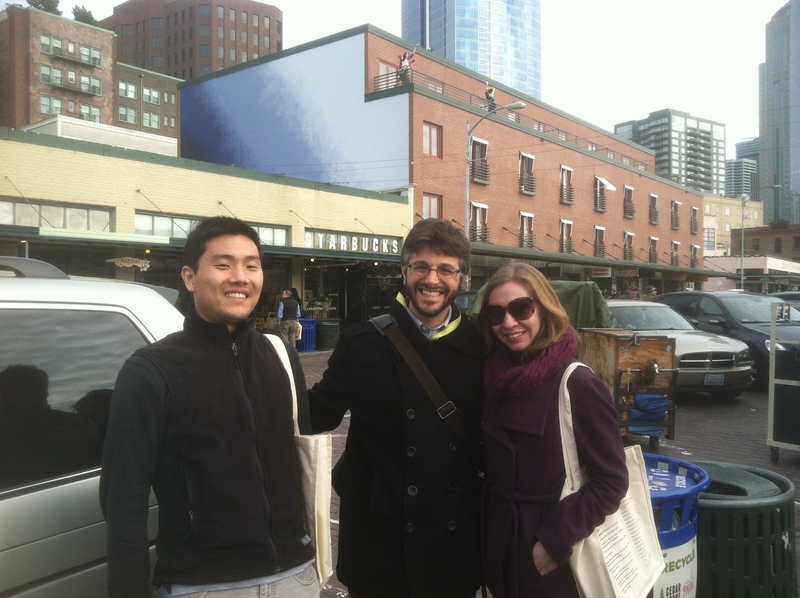 In particular, thanks to my two traveling mates, Mark Keats and Arielle Bernstein, who made a foreign city like Seattle feel like home. And to Duncan May, who was super helpful and welcoming. At the book signing with the wonderful Duncan May of Dufour Editions. ← How to Dispose of Dead Elephants – book cover and first blurb (courtesy of Denise Orenstein)!